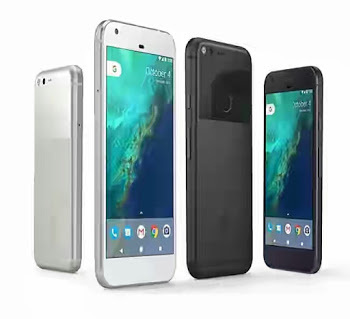 Google's Pixel and Pixel XL smartphones which were recently launched few days ago are now made available for purchase. The smartphones are built with awsome features you would always want to get feel of. As you may know, Google always work to see that their products becomes the best in the world, So it implies that their smartphones products came with the best feature you can ever think of. In terms of available variants for the smartphones, Google Store has both the 32GB and that of 128GB models with color options black and silver. The shipping will start from next month, which is November. If you are buying from Verizon, they have the phones in stock including a blue color, but it only comes with 32GB storage for both cell phones - the blue Pixel XL, So the shipping will from November 18. However, Best Buy also have some Verizon-branded Pixel models available on its website, but only in 32GB storage. The smart phones worth buying as they are standard and not substandard, in other words, they are the right phones NCC advised Nigerians to get. So if you are interested you can get any of them.